IMPORTANT REMINDER: All Personal Property must be assessed by May 31 of each year to avoid a 10% penalty. The Assessor's Office will strive to insure that all values are fair and equitable for Columbia County. If you have any questions or would like information concerning our office or the reappraisal, please do not hesitate to call or come by our office. Columbia County is currently contracted with Total Assessment Solutions Corporation for our county wide Reappraisal which will be completed in 2023. Pursuant to the requirements of Acts 440 and 836 of 1997 and Acts 1185 and 416 of 1999 notice is hereby given to all property owners in Columbia County that the Columbia County Assessor intends to conduct the county wide reappraisal for ad valorem tax purposes of all parcels of real estate in Columbia County. 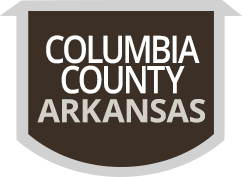 Columbia County Equalization Board is available for taxpayer appeals in August of each year. All appeals must be requested by the third Monday in August. Real Estate records are available on the internet by visiting ARCountyData.com. Many taxpayer questions can be answered by visiting the Arkansas Assessment Coordination Department website at arkansasassessment.com. Taxpayers can receive helpful reminders by signing up for Gov2Go. Visit the following website at GetGov2Go.com or DueBeforeYouRenew.com for additional information.